Basic technology, such as autonomous emergency braking, is not included as standard on the Mustang, yet is available on models such as the Ford Fiesta, and Ford Edge. 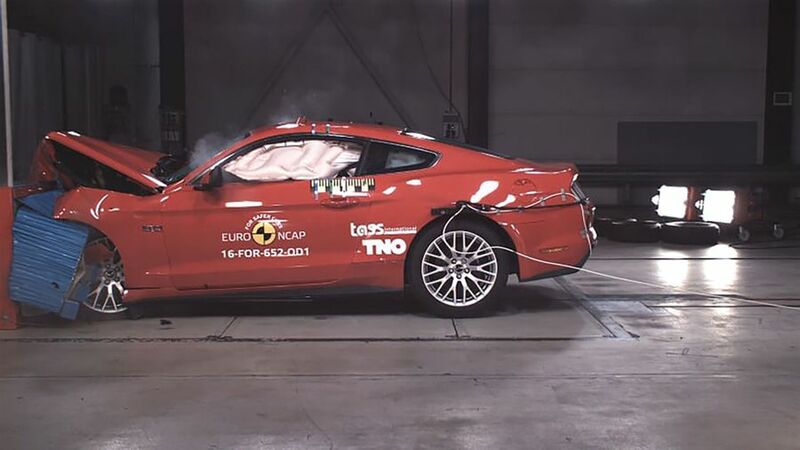 The Ford Mustang has been awarded just a two-star Euro NCAP safety rating. It is the first car produced by one of the top ten car brands to be given a two-star rating since 2008, and means the Mustang scores much lower than its rivals, such as the Audi TT, which earned a four-star rating, albeit under the less stringent 2015 Euro NCAP standards. Euro NCAP provides consumer information on the safety of new cars, giving them a rating out of five. The overall safety rating was introduced in 2009, based on assessment in four areas: adult protection; child protection; pedestrian detection; and safety assist technologies. In these areas, the Ford Mustang scored 72% (adult), 32% (child), 64% (pedestrian), and 16% (safety assist). 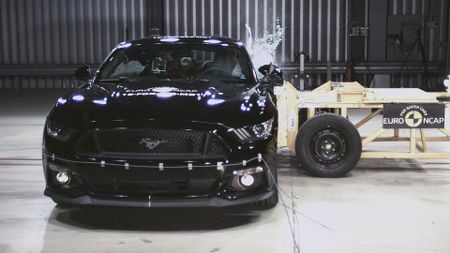 Thatcham Research, the independent automotive research centre, and voice of Euro NCAP in the UK, said there are concerns about the Mustang’s crash protection of both adults and children, which also makes it unsuitable for having rear passengers. Basic technology, such as autonomous emergency braking is not included on the Mustang, yet is available on other Ford models such as the Fiesta, and Edge. While the Mustang scored well in less wide-ranging US consumer safety tests, Ford made the decision to only make minor updates to meet European pedestrian safety regulations. For example, in the US, the Mustang comes with a high-tech radar collision warning system, but that’s not available in the UK. During Euro NCAP’s testing, the driver and passenger airbags inflated insufficiently to properly restrain the occupants during the front offset test. In the full-width frontal test, the rear passenger slid under the seatbelt due to a lack of rear seatbelt pre-tensioners and load-limiters. This implies a higher risk of abdominal injuries in the event of a real-life accident. In the side impact crash, the head of the child dummy contacted with the interior trim, which bottomed out the curtain airbag. Ford recently announced a facelifted Mustang which will be available later this year. The carmaker has already said this will be available with Pre-Collision Assist and Lane Keep Assist as standard. 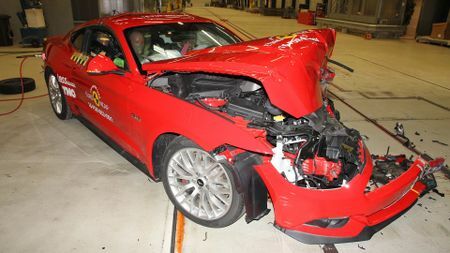 The car will be retested by Euro NCAP when it becomes available on the European market, although the organisation has already warned that 'more fundamental updates may be needed if the Mustang is to get a significantly better result. '.